I love San Francisco! There is much to explore from the Golden Gate Bridge, the beautiful waterfront, the fabulous food, down to one of my favorite areas near the financial district - Chinatown. Dim sum and mooncakes, how wonderful is that? Chinatown is the largest outside of Asia and the opportunities for photography (and food) are endless. It's completely crowded which adds to the charm. Open markets, interesting storefronts, and activity everywhere. I photographed this HDR photograph image early on a Sunday morning before the crowds filled the sidewalks. 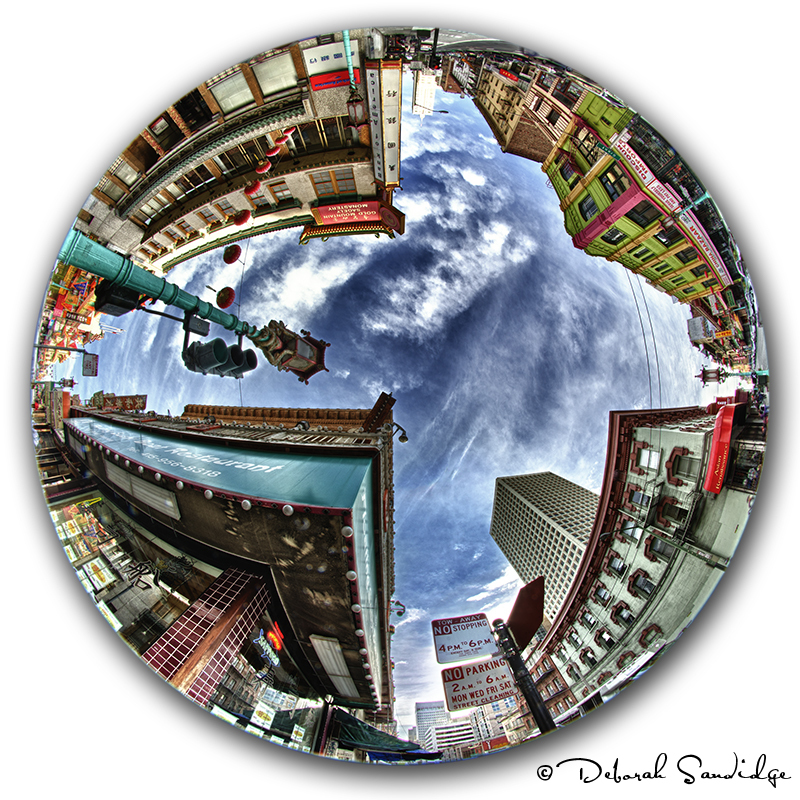 An 8mm circular fisheye lens creates an alternative just-for-fun point of view. The great thing about this lens is that by pointing it toward the sky, you capture the cityscape that completely surrounds you! I recommend using a tripod and right angle viewfinder so you don't have to "limbo" under the tripod to check the camera display. This is such a different point of view, rounding out your photography so to speak!